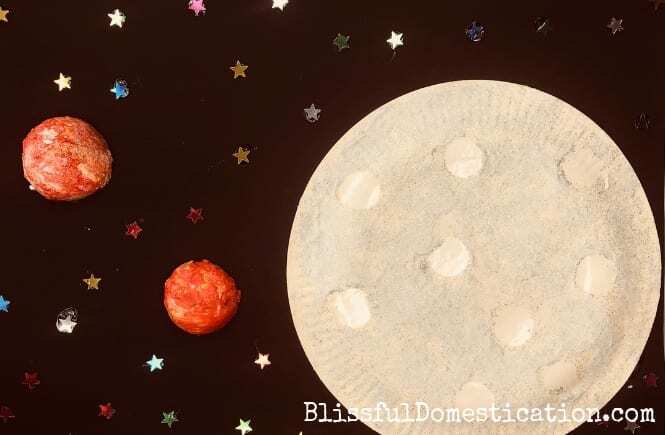 This Puffy Paint Paper Plate Moon craft is a really simple fun (but messy!) craft for the kids to do. 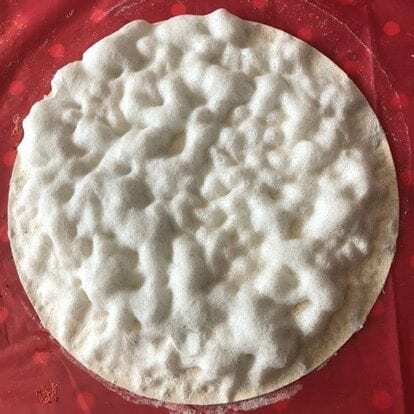 This is my version of puffy paint, which differs from others recipes I’ve seen. When completely dry it gives a flatter but textured finish, which is how I imagine the moon surface would look. 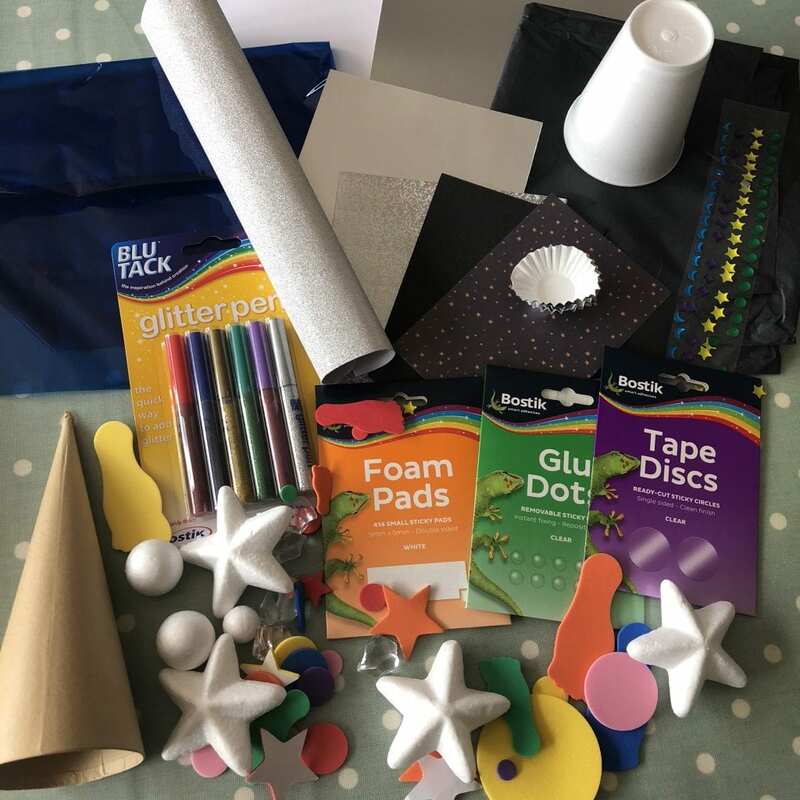 As part of our role as a Bostik Blogger each month we are sent a box of crafty goodies to inspire us, and this month’s topic was ‘Space’. I have a space mad little boy, but it was actually Isla that enjoyed getting stuck into this activity. Just as a prior warning though, it can be quite messy, so aprons and table protectors are needed. Also, using this method, it can take a few days to dry completely. So make sure you pre-warn the kids so there are no disappointments that they can’t play with their moon straight away. 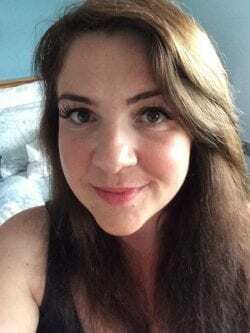 So if you’d like to see how we made ours, read on, or pin it for later! 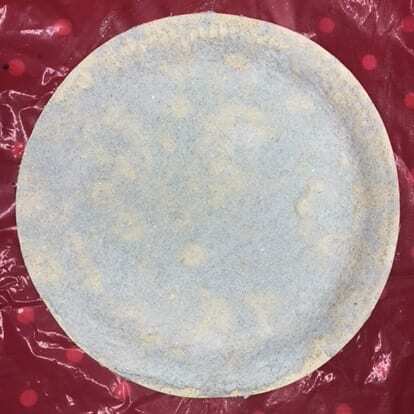 Stick some of the Bostik Tape Discs to the back of a paper plate in a random pattern. Then you need to make your puffy paint. 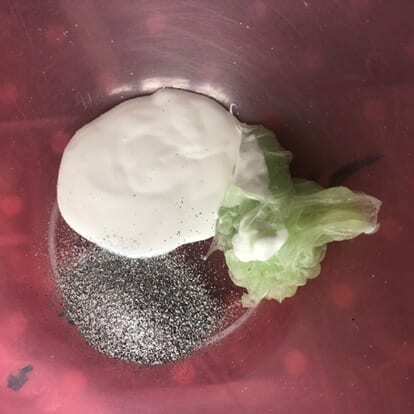 I used shaving cream (as I didn’t have any foam), and added equal parts of it with Bostik White Glu in an old bowl, along with a generous amount of silver glitter. Mix well with the wooden spoon, in a beating motion to puff up the shaving cream. 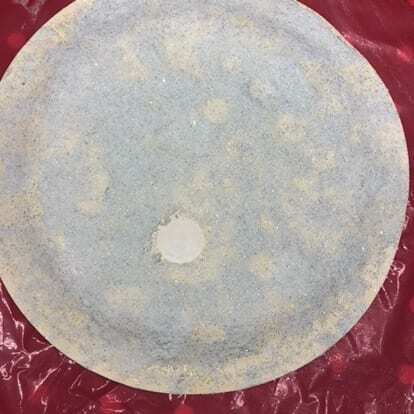 Once it’s all mixed together, apply it to your paper plate with an sponge. Warning- this is the messy, but fun part! Now you have to be patient. 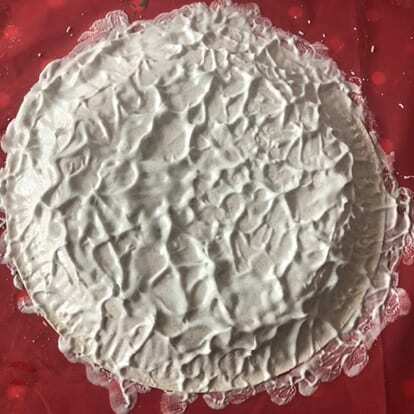 Once the puffy paint has been applied you need to let it dry completely and this can take several days. 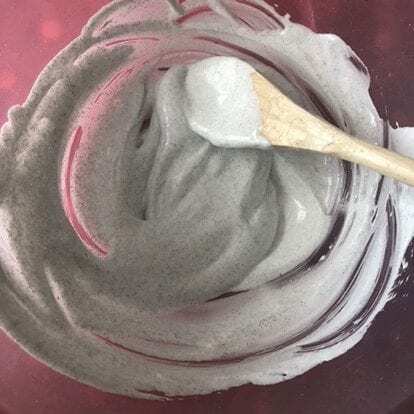 You’ll notice as the paint is made with cream rather than foam, it puffs up more, before it starts to dry out completely. 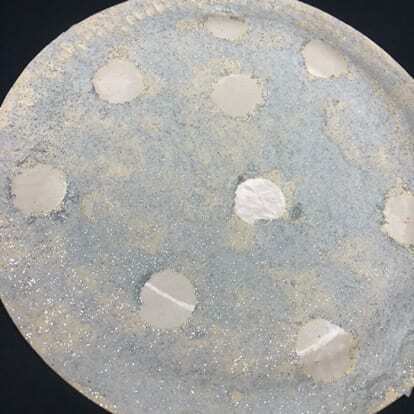 When dry it leaves the plate with a rugged texture, that resembles what I think the moon surface would look like, and the glitter really shines through. 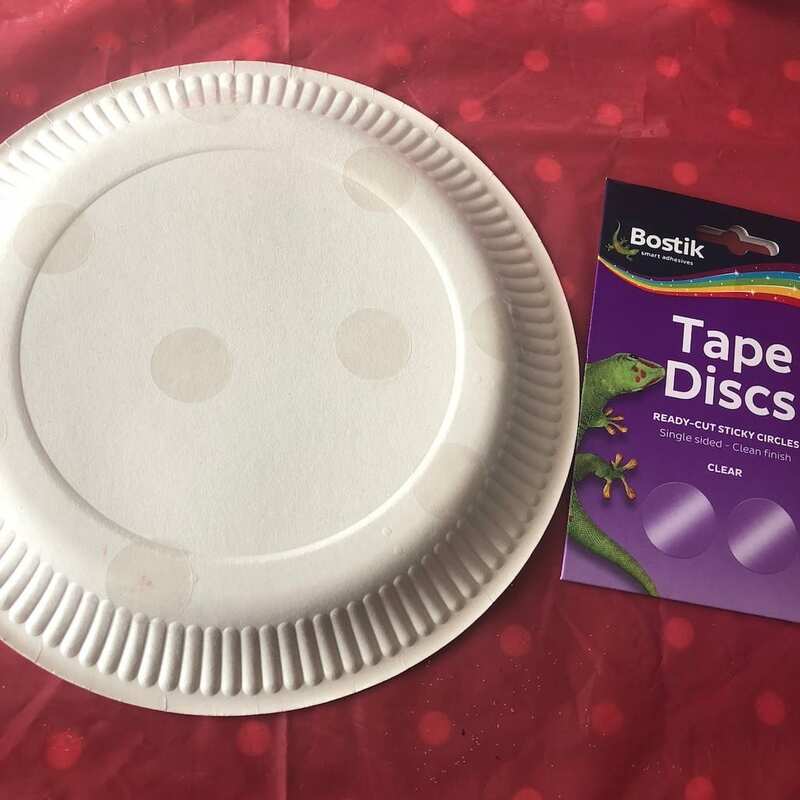 You can then wipe away the paint that is overlying the Bostik Tape Discs with your finger. Quick tip though- take a picture of where you placed the dots as it’s not always easy to see! These represent the moon’s craters. That’s it! 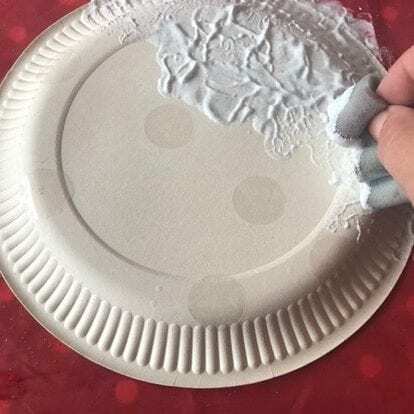 A really simple but fun Puffy Paint Paper Plate Moon craft. We decided to use our Puffy Paint Paper Plate Moon in a collage for Oliver’s room. We stuck the moon to an A3 piece of black card. 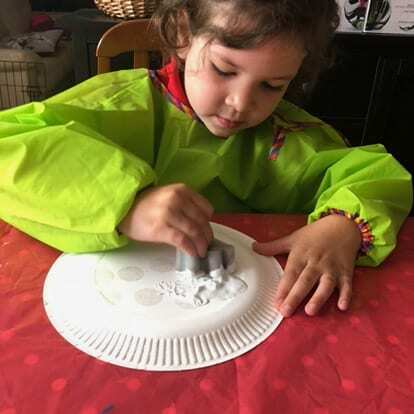 We then decorated some polystyrene balls with coloured puffy paint made in the same way, just without the glitter and the addition of some poster paints. When they were dry we cut them in half and stuck them onto the card to represent planets. Isla then decorated the rest of the collage by sticking on some star sequins that came in our box using a Bostik Fine & Wide Glue Pen. 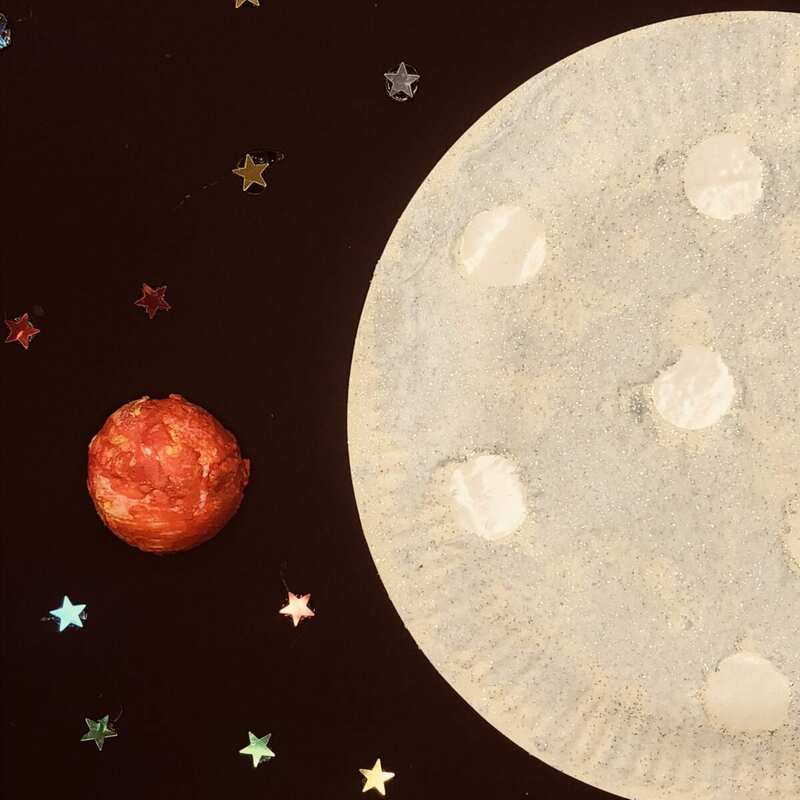 So what do you think of our Puffy Paint Paper Plate Moon craft and collage? Is it something your little ones would enjoy doing? I’d love to hear what you think in the comments. If you need some more inspiration for ‘Space Crafts’ then check out and follow our Pinterest board. Disclaimer: We were sent a box of craft goodies for the purpose of this post as part of our role as a #BostikBloggers. This looks like great fun! My son will love the fact that it is space inspired (and will love the science behind the puffy paint) and my daughter will love the mess! !